Entreprenuer revealed statistics from a study commissioned by Cone Communications that stated, “46% of respondents said they’d like to be able to solve problems and receive product or service information via new media, but only 14% said they’re ‘very satisfied’ with their experiences with companies or brands online.” This dissatisfaction may come from a misalignment between what customers expect from brands and what brands are prepared to provide their customers online. There is no question that the growth of social network engagement amongst both consumers and businesses is forcing more companies to strongly consider whether or not they should be offering “social” customer service. Responding to customer service requests that come through social networks can be a tremendous opportunity for businesses to better understand and respond to their customer’s needs, but it doesn’t come without challenges. 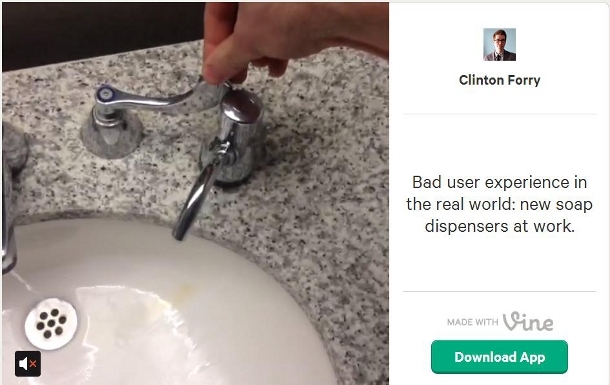 Social #custserv has its challenges. But the payoff in customer retention is worth its weight in real cash money. Companies who currently handle customer service through a call center or a phone number have an opportunity to leverage their existing support team. However, training customer service reps to properly respond and manage customer service requests on social media isn’t a small undertaking. The best call center rep could in fact be the worst social media service rep. Why? Because a great call center rep is an amazing verbal communicator, but that doesn’t qualify them as a great writer who understands how to communicate tone and empathy in a limited amount of characters. These are different skill sets, and while your company may have some service reps who thrive in the written word, it isn’t a foregone conclusion that every call center rep is the right choice for managing social service. For companies that are just getting started in social customer service it is important to find someone who is passionate about social media and also understands how to maintain professional communications despite character limitations and social network restrictions. Then you have to connect that person or group of people with the information they need to be able to address inquiries quickly and easily. Internal group collaboration can be accomplished using social media management tools that provide features like internal team chat, task assignment, support cases, and forums for in-depth documentation and collaboration. The good news is that when your customers are mentioning your company online it’s fairly easy to overcome these challenges by learning to recognize them early and planning for them. In the end, it’s worth it because the payoff in customer retention and relationship-building can be worth its weight in real cash money. This is important because when customers mention your company online they expect a response. That is likely the reason only 14% of the Cone Communications survey said they are not “very satisfied” with their social customer service experience. The majority probably didn’t even get a response from the brand. The number of responses that were generated by interns who manage company social media accounts whose claim to fame is really posting “viral” party pictures on Facebook could be even scarier. Social media allows you to create one-to-one dialogues with customers. You can learn what they care about, what their needs are and how to consistently improve the customer experience. 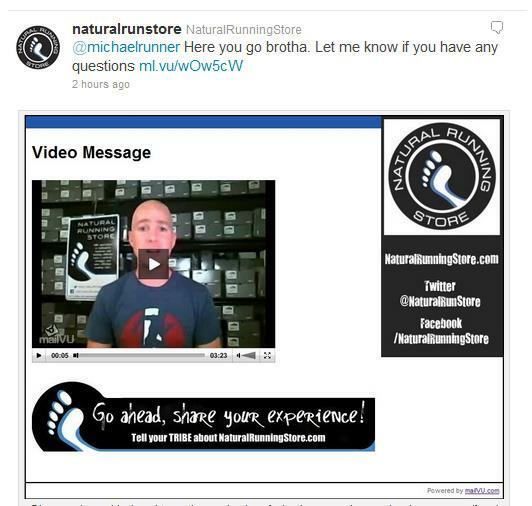 Patton Gleason the president of Richmond, VA-based NaturalRunningStore.com, goes beyond a simple tweet. He’s creatively found a way to combine the power of verbal communication with social media. He posts highly personalized videos to help customers solve specific problems using a tool called MailVu. One of his customers, Michael Demming was complaining about calf pain on Twitter. 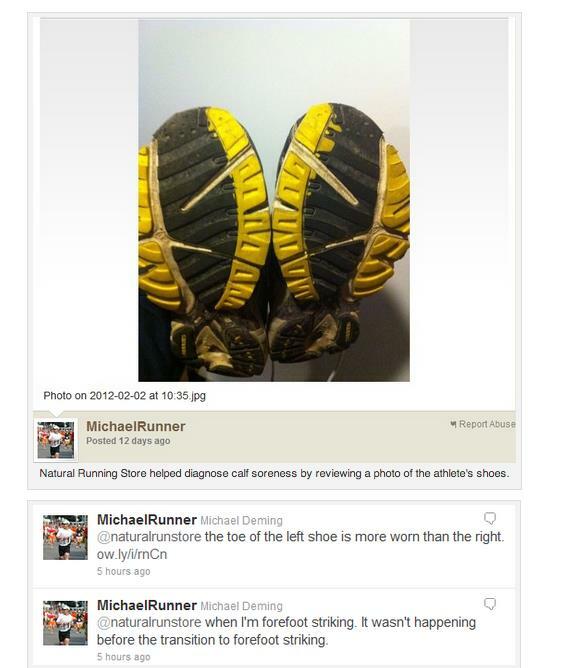 Gleason diagnosed the problem by looking at an uploaded photo of the soles of the runner’s shoes. While Gleason could have told the customer what the issue was in a couple of tweets, he instead shot a three-minute video with a detailed answer to the runner, explaining exactly why the soreness was likely occurring. This is a powerful testament to show how much Gleason cares about his customers. It puts a face behind his company, and truly goes above and beyond what was expected. That’s what I call service, with a personal touch. It’s easy to be reactive and deal with customers when they directly reach out to you, but there is a lot of power in being able to find conversations where your company, products, or even employees are mentioned in passing. Noodle this. How many customers had a bad experience and then posted about it online with the sole purpose of telling their friends? This customer aren’t necessarily posting for your benefit, so they probably won’t tag you. We used to be worried about unhappy customers telling their 9 to 15 closest friends. Today, you can multiply that by a bazillion percent. Okay, not literally, but the Social Habit also shows the average Facebook user has 262 friends. Are your target customers 18-24? Then it’s time to get really serious, they have an astounding 429 average friends on Facebook. And that’s only one social network. Did you catch that? A single unresolved complaint means that you could potentially lose up to 429 future customers. Don’t even get me started on the impact of a customer complaint that goes viral. This means that companies need to start actively looking for these unhappy customers and their untagged negative conversations. Then they have an opportunity to correct the situation. Monitoring social media for passive and active customer conversations may be one of the most important functions your social customer service team can provide. Really good social media agents can turn an unhappy customer into a brand advocate. People don’t buy from brands, they buy from people. When you can take a complaint and go above and beyond to resolve the issue, do you really think they’d go to a competitor next time? No, we’d be fools to put our money elsewhere when we know you will make sure we are happy. During the process of this transition from unhappy to satisfied, it’s possible to create an even more loyal customer who will turn around and rave about your response to their networks. Guess what! When that happens you could gain exposure to up to 429 potential customers. Social media plus customer service is a true win-win. You can understand your customers better, strengthen customer relationships and generate brand advocates who will share their story. So get your customer service hat on and take to the social interwebs. Your customers are waiting. Are you providing customer service on social media channels? What has the response been? Do you have tips for companies that are just getting started? Are you thinking about getting started with social customer service? 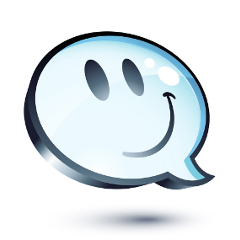 Leave a comment and join the conversation about keeping our customers happy online!